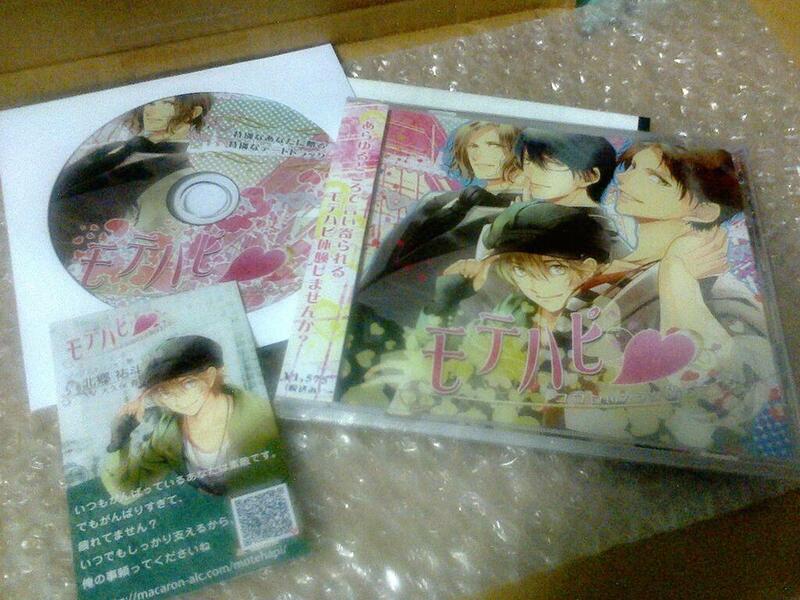 MoteHapi is the first situational drama CD released by Macaron Alacarte featuring guys who are trying to court your affections after the horoscope on TV said you’re in for a super lucky day☆ Your moteki (モテ期; the time in life where you’ll be popular among the guys, in this case www) is happening and goodness, everyone you see (even on the train!) are coming after you! Macaron Alacarte also has an ongoing radio show at NND hosted by Hatano Kazutoshi and Karino Toshiya. The hosts voiced Saionji Makoto (the black-haired guy ↓↓) and Saionji’s secretary in MoteHapi.